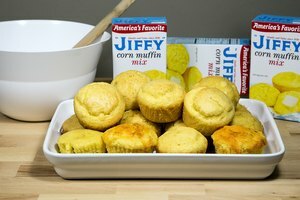 You can consider Jiffy mix the duct tape of shortcut ingredients: You can "fix" just about any Southern quickbread with it. 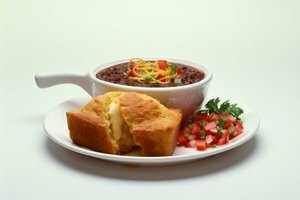 Southern quickbreads such as cornbread, corn muffins and hush puppies are all the same beast, just in slightly different forms. 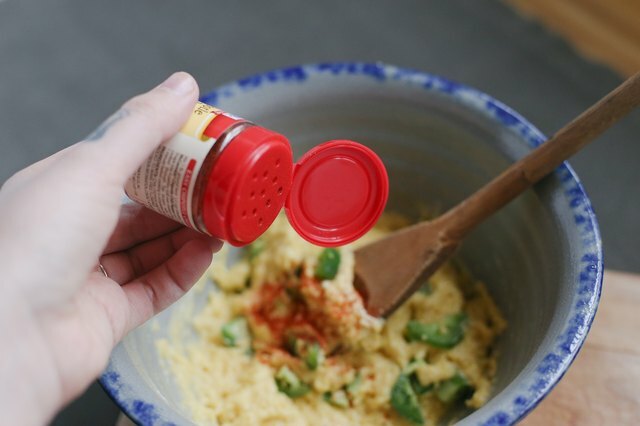 You only need add eggs and milk for standard hush puppies, but you can make the most of Jiffy mix's sweet corn flavor by adding a few flavoring ingredients, such as minced onions, jalapenos and bell peppers. For a lighter interpretation, bake the hush puppies in a mini-muffin instead of frying them. 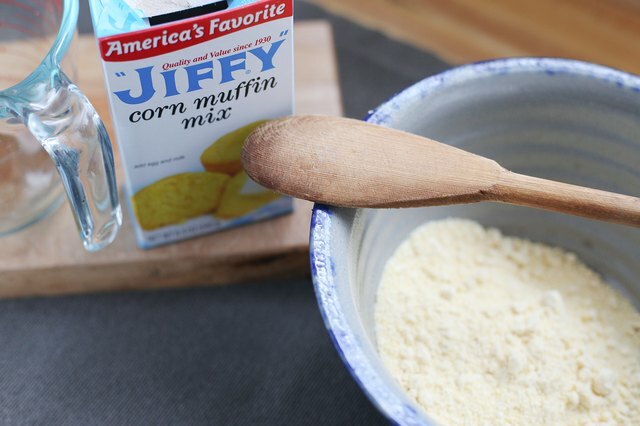 Add the Jiffy corn-muffin mix to a mixing bowl. One package of mix, or 1 1/2 cups, makes 24 to 28 hush puppies. 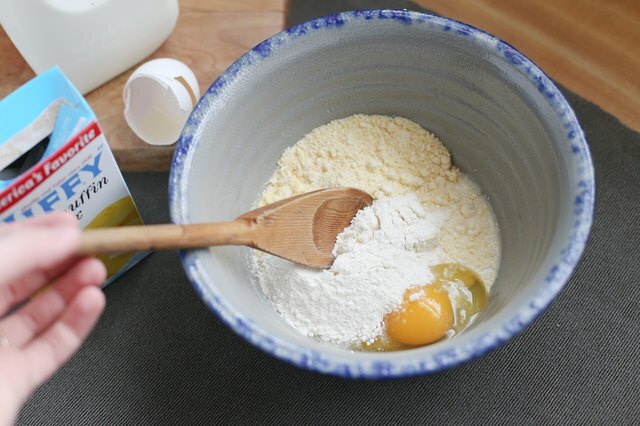 Add 1 egg, 1/2 cup of all-purpose flour and 1/3 cup of milk for every package of mix. Add secondary flavoring ingredients to the mix. 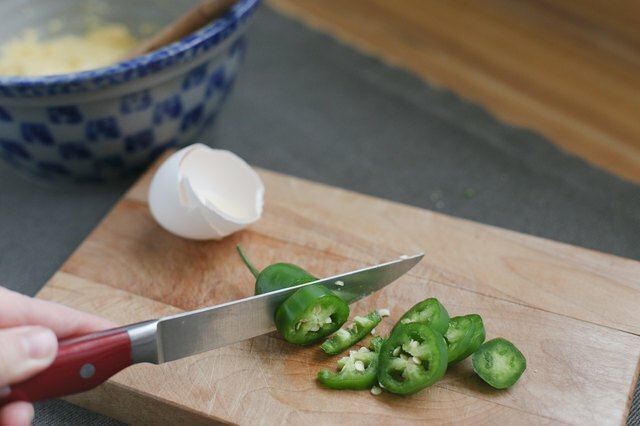 Hush puppies typically contain diced onions, but you can add color, piquancy and texture with ingredients such as bell peppers, jalapenos and garlic. Add spices to the mix, if desired. 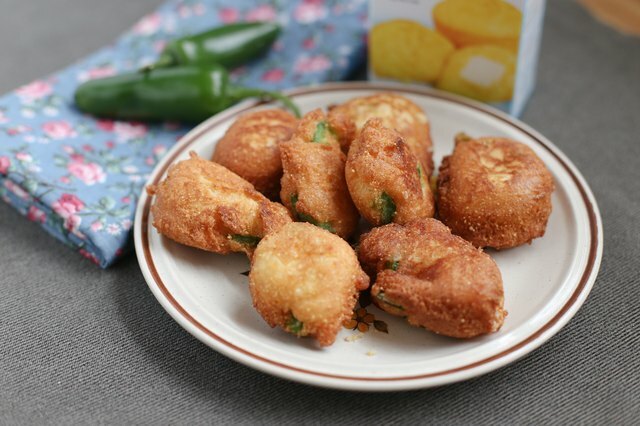 A dash of cayenne pepper or chili powder plays well off the flavor of the batter. 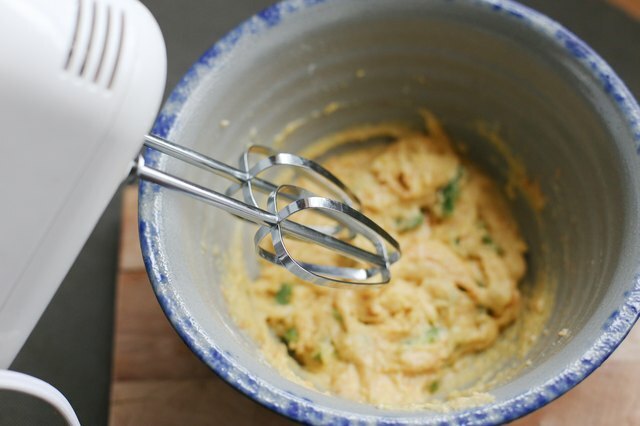 Combine the ingredients using a hand mixer. Chill the batter in the refrigerator while you heat the oil. Heat 2 to 3 inches of vegetable to 375 degrees Fahrenheit in a tall cast-iron skillet or Dutch oven. 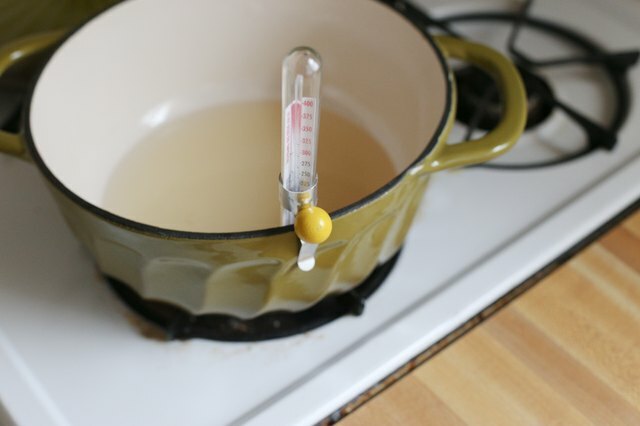 Use a deep-fry thermometer or high-temperature instant-read thermometer to check the oil temperature. 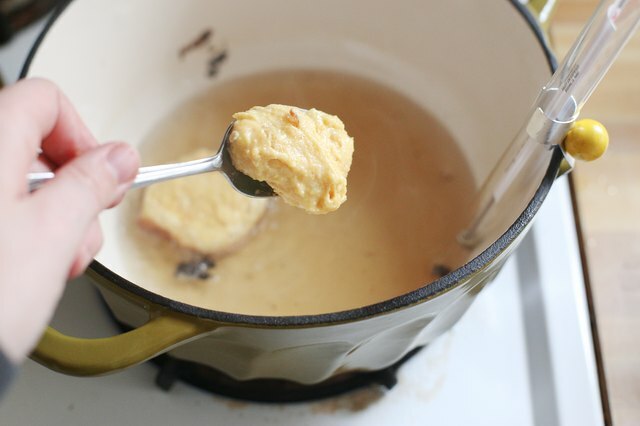 Drop 1-tablespoon portions of hush-puppy batter in the oil using a 1-tablespoon ice-cream scoop. 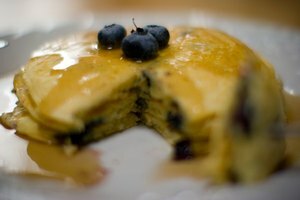 Alternatively, use two spoons sprayed with cooking spray. Fry the hush puppies until light brown, about 2 minutes on each side. The hush puppies will lightly darken after you take them from the oil. 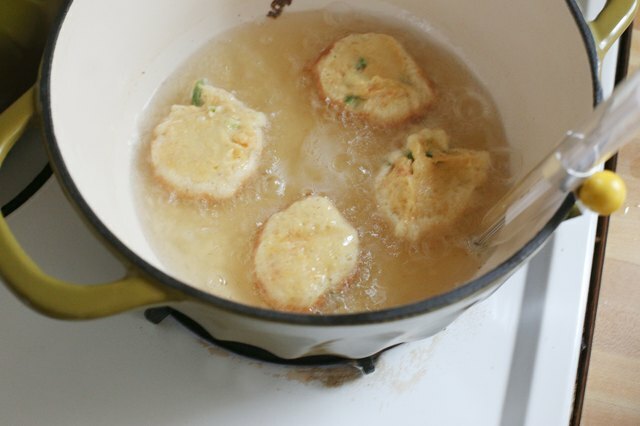 Use a slotted spoon to turn the hush puppies in the oil. Transfer the fried hush puppies to a tray lined with paper towels. 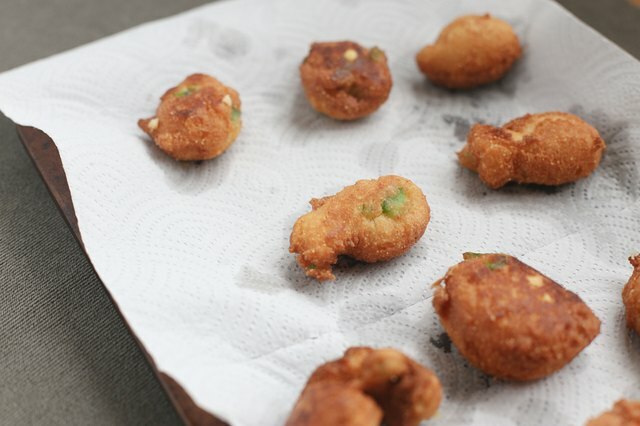 Absorb oil from the hush puppies with a paper towel to improve crispness. Alternatively, bake hush puppies in an oiled mini-muffin pan until golden brown in a 350-F oven, about 10 to 12 minutes.